Apart from being one of the most visited islands in the Southeast Asia region, Koh Samui features many activities to do that you’ll never get bored. It features abundant accommodations for tourists that range from exclusive villas to small bungalows and well-furnished apartments. In addition to the abundant accommodation, there are numerous festivals that take place each year in Koh Samui such as the street fairs where vendors regale visitors with local delicacies, souvenirs, and clothing items. Another widely popular festival has to be the Buffalo Fighting Festival where tourists and locals go to see well-bred buffaloes tearing into each other. 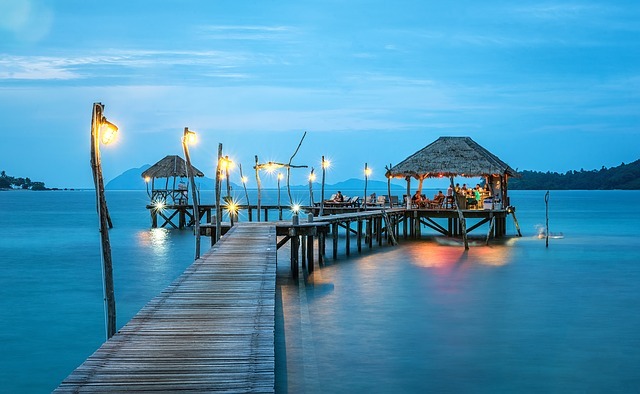 Festivals aside, a visit to this region is not complete without a visit to the beach clubs in Koh Samui. This is the place to go if you want to take part in all beach related activities, e.g., sunbathing, kayaking, and surfing. You will be amazed at the myriad number of activities that are available in these clubs. Ao Nang Krabi is another popular destination among tourists looking to visit Thailand. The one thing you need to know before you go to Ao Nang is the fact that its beach is a bit narrow, and can get quite overcrowded during the high tourist seasons. However, the one thing that keeps it drawing huge crowds years in, year out is its amazing scenery. You can view the Krabi limestone formations from any direction, in addition to the many small islands located on the horizon. Over the years, the area has become quite developed, which has also led to the emergence of family-friendly resorts in Ao Nang. These resorts are easily available from Krabi town and you will not need to take a boat to access many of them. If you are looking to go on holiday with family in Krabi, you should know that there are no major malls in the town. However, there are various small shops lining the road leading to the beach. Here, you can take part in all kinds of water sports or even choose to zipline in the jungle. Rock climbing is also available. There are a host of available bars all serving both local and major beers. Imports are also available for the expats who would rather take known brands than indulge in the three locally manufactured beer brands. As beautiful as the Haad Region is, tourists visiting the region only know it for a single thing: a boisterous nightlife and full moon parties. Located on the eastern side of the peninsula, Sunrise Beach organizes an all-night bender once a month. This is a bender that goes all night before ending the following day at noon. The bender is characterized by lots of music, dancing, and drinking. But this does not mean that the other days of the month are boring: as the party atmosphere still saturates. 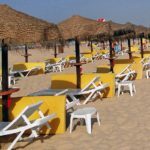 Therefore, if you are looking for a much quieter beach experience, you may want to reconsider your options and steer clear of Sunrise Beach. The gently sloping coast and the golden sand often makes the beach appear ideal for sunbathing during the day. However, when swimming, you need to be aware of the rocks that are present in the water. The beach is the perfect place to go during the day to sweat out all the bad decisions (which often tend to be in the form of bucket drinks) that you may have made the previous night. This is yet another beautiful example of a sand strip that was once the primary domain of backpackers not more than a decade ago, but which is slowly growing to become a resort scene. The beach is occupied by numerous buffets and resorts, although the northern part of this beach still retains its old bamboo bungalow charm. As its name implies, the sand on this beach is powdery, white, and very soft on your feet and hands. The western side of the beach is filled with coconut and palm trees growing against a gentle background of sloping hills filled with green scenery. A few years ago, this beach was an exclusive base for deep-sea divers. But visitors are today realizing that the beach located in Koh Tao has a lot more to offer than a place to eat and rest when you are in between dives. Surprisingly, this island has also become a major party scene hosting all kinds of parties in between the full moons. 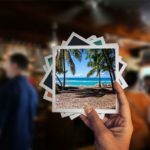 There are nightly pub crawls available to cater to the needs of the young revelers and travelers looking to make a lot of noise, have a good time, and enjoy everything the island has to offer. Sairee beach comprises of a single mile of sandy beach complemented by an amazing view of the surrounding islands. It also has abundant accommodations and restaurants where you can sample all kinds of local cuisines. About the Author: Riya is an inspired writer, passionate about traveling, lifestyle and encouraging startups. As a freelancer, she understands the importance of productivity at work. Riya never stopped finding new ways to create her work productivity.